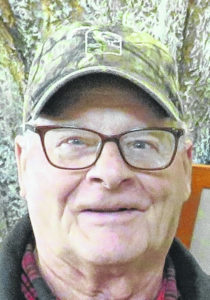 LEESVILLE — After 24 years as a Crawford Park District commissioner, Rich Carpenter has decided to hang up his hat. An open house is schedule to celebrate his efforts and his retirement on Saturday, from 11 a.m. to 1 p.m. at the Nature Center at Lowe-Volk Park. The public is invited to stop in and visit and say thanks in person. His dedication to the Crawford Park District has made an enormous impact on the quality of life in Crawford County. In the early 1990s, Carpenter was approached by a group of kids looking for a place to collect leaves for a school project. Rich took them down to Carpenter’s Bottom, a family-owned woods just outside of Bucyrus. It wasn’t necessarily the kids needing a place to collect leaves, but a comment made by a girl in the group that really hit home to Rich. she excitedly announced it as her first time in a “deep woods.” Rich commented about her remark years later. Carpenter led a steering committee that researched the many facets of starting a park district. The group organized field trips to other districts to see which assets could be brought to Crawford County. The other goal of the steering committee was to build county-wide support. After a two-year process of researching and talking with citizens, governments, and businesses throughout Crawford County, the Crawford Park District was officially formed on Nov.. 16, 1994, with Rich serving as one of the three original commissioners. After 24 years, Carpenter still sees the Park District growing in educational opportunities, volunteers, and land. Lowe-Volk Park is three miles north of U.S. 30, on Ohio 598. For more information contact the Crawford Park District office at 419-683-9000. 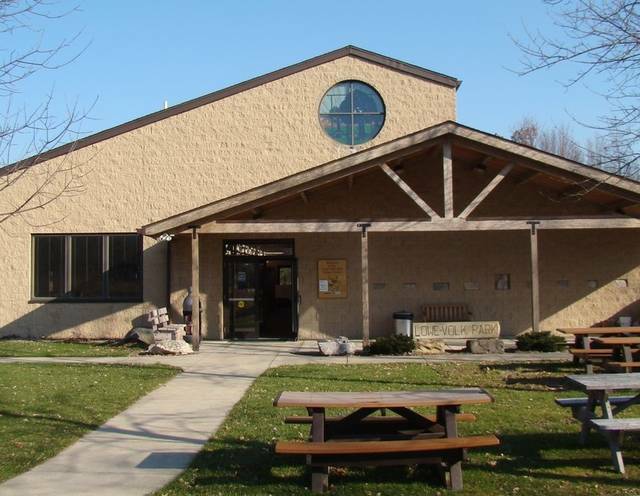 Look for information on other programs offered by the Crawford Park District by visiting their web site at www.crawfordparkdistrict.org or by visiting our Facebook page.